As the Arctic warms, greenhouse gases will be released from thawing permafrost faster and at significantly higher levels than previous estimates, according to survey results from 41 international scientists published in the Nov. 30 issue of the journal Nature. Permafrost thaw will release approximately the same amount of carbon as deforestation, say the authors, but the effect on climate will be 2.5 times bigger because emissions include methane, which has a greater effect on warming than carbon dioxide. The survey, led by University of Florida researcher Edward Schuur and University of Alaska Fairbanks graduate student Benjamin Abbott, asked climate experts what percentage of the surface permafrost is likely to thaw, how much carbon will be released and how much of that carbon will be methane. The authors estimate that the amount of carbon released by 2100 will be 1.7 to 5.2 times larger than reported in recent modeling studies, which used a similar warming scenario. Just in case there are any who still think de Freitas was a martyr for science (or whatever), see Pal Review. I actually did go through and check 700+ papers at Climate Research, including dates and editors, and those are important in finding the patterns. and it turned it was even worse than many people thought. The journal had no Editor-in-Chief, so authors sent manuscripts to an Associate Editor of their choice. Each selected reviewers, handled the whole process and accepted papers with no further oversight. Chris de Freitas became an editor and then accepted 14 papers from the pals 1997-2003. I looked at them all, and in my opinion, not all were bad, but quite a few were *awful*. Even the OK ones managed to insert poorly-supported memes into Abstract, introduction or conclusion. After von Storch and other editors resigned in 2003, no more pals papers came through de Freitas, and only a few more, through Robert Davis. The party was over. I just listened to a Science Podcast that was a study on aerosols by Natalie Mohowald(?) from Cornell and I have heard nothing of this from any site. The interesting thing was her contention that aerosols have a biogeochemical effect, by fertilizing the land or ocean ecosystems that increase carbon uptake for up to decades, as well as in the atmosphere changing the “amount” of CO2 in the atmosphere. It sounded very interesting, and an issue (in general, not this specific form) that I have considered being a possible source of some mitigation. Of course she explains that aerosol health effects are significant and are going to be removed, that this “masking effect” could make temp increase higher once they are removed. But removal would still leave a many year residual effect when precipitated. OK, I will try on the open thread seeing my questions get censored elsewhere. In the post about extreme weather events, there is a graph that makes no sense. Can someone explain it to me please. Here is my initial comment:-28.I am sorry, but your second graph makes absolutely no sense to me. Why would having fewer but stronger TCs affect the wind distribution on normal (non-TC) days? Are you therefore saying that in areas that never experience TCs, the wind speed increases with average temperature? Have you any scientific basis for this assumption? Just wanted to mention again an unusual observation, that being that leaves on deciduous trees seem to be hanging on much longer than normal this year. We have an elm, a willow, a walnut and some mulberries that still have many or most of their leaves (because we haven’t gotten our usual killer frost yet). We are in California just inland from the coast. If this has already been observed and discussed and I’m in the dark then pardon. I’m not familiar with these scientists (nor the details of the science), but it seems like their assertion that the warming caused by GHG is much less than that caused by atmospheric density has been shown to be incorrect. Ron R., We’re seeing something similar here in Minnesota. Leaves hung on to maples far longer than what I recall as normal. They also appeared to cling longer to certain other species (but I don’t know what they are). With apologies to the Geico caveman, paleoclimatology isn’t just for grant enabled scientists anymore. I’m sure that Watts has been told that tree-ring-based temperature reconstructions are generally derived from cores taken at trees near timberline. Well sorry, Anthony — wrong timberline! I’m wondering if it’s just a local phenomenon, a one off or if anyone else has noticed it. Anyway, will look the site over. @ Ron R #6 – where I live in south eastern Australia, the leaves on deciduous trees stayed on the trees till mid June this year. That’s right in winter and most unusual for our part of the world, although maybe it will no longer be ‘unusual’ as time goes by. In my garden I get flowers blooming unusually in mid-winter, a couple of years ago we had two ‘springs’ with two blossom periods – one of them in early winter etc etc. Also we get visits from different birds – and some have settled here in recent years – moving across from hotter, drier climate zones. I’m seeing more different insects, too. Not as many Bogong Moths as there used to be. I hope they are okay – they travel from a couple of thousand km away to breed on the hill above us. * primates do not adapt. Young can be more tolerant, but old die. That puts the next 30 years into the Very Important category, but the issue seems to be not mentioned. Why? Number of commentators and even some scientists tend to dismiss the CET as irrelevant, a little local ‘difficulty’ irrelevant to global temperature data-set. I tested the claim and it shows existance of high correlation between the CET, the northern Hemisphere and the Global temperatures! Ron, I am in Detroit and there are still leaves on my yellow apple – a lot – and one of the cherry trees. And they are young trees. We’ve just had our first frosts this week… snowing now. Can’t be normal. 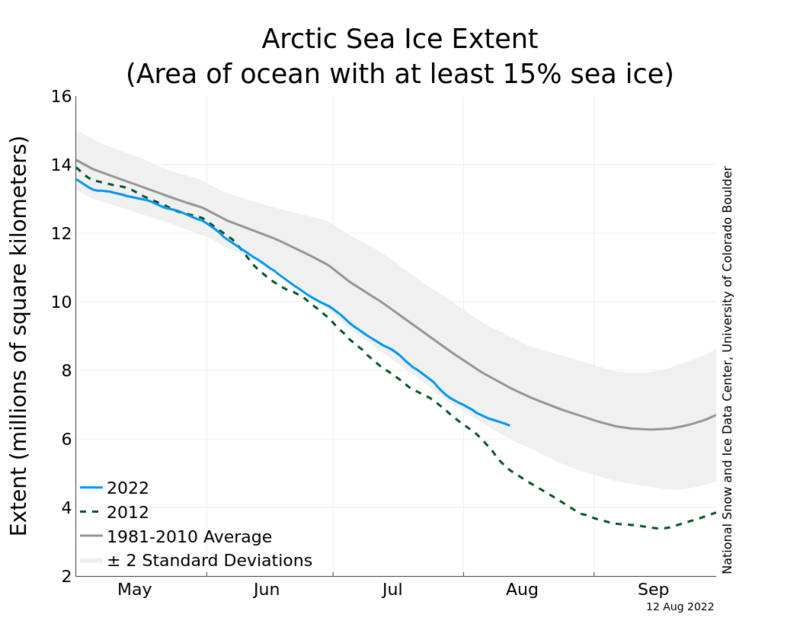 Next year’s sea ice should be quite interesting. I continue to believe things are moving far, far faster than virtually all believe. I made the point recently that the world has been denuded in ways that has never been the case during rapid changes before. And this is more rapid than ever before. The system is extremely fragile compare to any other time. This is a great blog, but I and others were disappointed with your coverage of the Shakhova paper. This additional information may motivate RC authors to take a good look at methane and the Arctic. I’m wondering if someone here can help me. Having compared Figure 1 in EoS03 with the original Briffa et al (2001) paper, it does appear that the “tail” (post 1940) has been left off the EoS plot, although McIntyre also appears to have exaggerated this by adding in data that was not included in the original plot!! I don’t buy into the predictable McIntyre conspiracy assertions and I don’t see how it affects the findings either. However, others are now using this to claim that the EoS rebuttal of S&B is flawed. Can anyone here comment on this in a way that can help me to counter such claims? [Response: I agree that there is nothing much here. The point of the rebuttal to Soon and Baliunas (as can be seen in the emails) (published version here) was to point out how illogical their conclusions were based on their analysis. Note that they claimed that they could state it was warmer in a period before the present based on whether a proxy suggested it was either warmer, drier, or wetter in a 50 years segment, compared to today. This was simply unfounded, and so their conclusions did not follow from their analysis. (Indeed, a much better attempt with a similar approach was published by Briffa and Osborn (2006)). The various other (smoothed) NH reconstructions shown in the enlargement to Figure 5a have been scaled by linear regression against the smoothed instrumental NH series over the common interval 1856–1980, with the exception of the ‘‘Briffa et al.’’ series, which has been scaled over the shorter 1856–1940 interval owing to a decline in temperature response in the underlying data discussed elsewhere [Briffa et al., 1998a]. “Over the hemisphere, the divergence between tree growth and mean summer temperatures began perhaps as early as the 1930s;”. > Outside of Hurricanes, isn’t wind speed supposed to go down? How often do you get hurricanes in Utah? Can’t tell you about Utah weather, but you might check locally. Mid-November in dull grey England: harvested ripe tomatoes growing outside – not under glass; trees kept leaves till end of November. First frost was couple of days ago – this time last year we had thick snow. While it may make an interesting anecdotal entry in your garden calender as a reference for your personal micro-climate, variation in last and first frost dates is “normal” everywhere. The observation of blooms in fall or winter may be more to the point wrt climate change – it’s an indication of the decreasing number of “chill hours” in winter, meaning that the variety didn’t have a long enough dormant period the preceding winter and some of the buds remained dormant until the current cooling fall weather made up the required chill hours. This has been observed here on central Vancouver Island fruit trees with increasing frequency the past decade or so, my flowering quince has now done it the last 3 years in a row. Oh dear, Nils-Axel Morner. Quite comical, in a weird way. If I understand it correctly, roughly 50% of each year’s anthropogenic CO₂emissions remain in the atmosphere, with 25% absorbed by the oceans (as determined by the changing pH). The remaining 25% is assumed to be taken up by the land, but no-one really knows where. Is that correct? I know this is probably quite a small amount compared to the annual flux, but still, with all the deforestation going on, forest fires, drought, beetle infestations and so on, it seems surprising to me that the land is taking up more than it would otherwise do, rather than less. Any comments? We have leaves still on many trees in North Wales (UK) too and many are still fairly green. The normal autumn colours associated with October were just starting in the second half of November. Some of the ones that had turned recently have been blown off in recent strong winds. We also have some strawberries flowering! Over recent years april showers seem to have been replaced by drought and easterly winds (prevailing winds are westerly). Weather patterns appear to be changing and it makes growing food quite difficult. Of course British weather is fairly unpredictable, especially in the West so it’s difficult to tell if this is a result of climate change or not. Once to my knowledge, and that was yesterday! > no-one really knows where. Is that correct? Why would you think that? Is there a source where you found the idea? I’d really like to know where you found those statements about assumptions (and why the sources seems trustworthy to you). It’s kind of a hobby, backtracking ideas and patterns of trust in ideas. Well here in Texas, we had some redbuds start blooming in November, instead of during the spring like the normally do. Opinions vary between the “dormancy” of the drought making the recent rains feel like spring to the trees, to this is the redbuds attempting one last gasp of flowering before mass die-offs. My red maple lost its outer 1/3 of its canopy over the summer, then when the rains started tried to grow new leaves. How much stress is that going to cause, spending energy and nutrients for brand new leaves that only last a month? Hmm. Well, there’s an explosion of new growth after deforestation; all sorts of opportunistic plants sprout up to take advantage of the increased sun. (In Ontario, fireweed is one prominent example of such a plant, for example.) This starts off the normal succession cycle once again. I’m sure that there is quite a lot of work available quantifying these things–though I’m not looking just now. . .
Phenology: this reminds me of one of the more ludicrous errors in the Wegman Report, a source of great amusement. See SSWR, p.117. Sadly, I was unable to locate any paleoclimate folks who had used audio recordings of plants. Here in the Austin, Texas area we had new records for temperature set in 90 or 91 days last summer. Previous record was 60 days a few years ago. While I’m as hot as the next guy on the relationship of overall change in weather over time being a key indicator of climate change, particularly for lay people, beware of overweighting local changes over a short time. I first started paying attention to budding out in late fall and early winter a few decades ago and finally came to the conclusion that it happens quite frequently and doesn’t seem to change things in isolation. It takes about three years of bad stuff to kill trees, in general. Freeze/thaw is, of course, not great, but nature is pretty resilient. You need to stick to overall trends over the whole globe and significant periods of time. However, I do believe the one-two punch of Irene and the October storm has done damage to the northeast it will take a generation to heal, and of course in a generation we are going to have a raft of other troubles, plus the likely acceleration of these extreme events. Lately I’ve been thinking about out-of-season events, which do seem to be on the rise. The phrase “lurching from greed to fear” describes the coming socioeconomic reaction as people finally realize that we are approaching the endgame. Seesawing weather is clearly evidencing more extremes. Quibbling about individual categories of the most extreme events seems to have encouraged people to leave them out of the overall counts, which seems wrong to me. How do the most extreme events get pushed off the continuum. I know they have weird effects and different dynamics, but not counting them doesn’t work at all. Exactly how is a 10 or 12 inch rain not part of a continuum with an inch or two? In addition, it seems the overall Arctic thaw is likely to send nasty cold weather to certain populated areas (northern Europe, middle-north US) in winter for a while, as it did in the last two years. It appears, with a lot of help from skilled industry PR, unlikely that the average Joe or Jane will “get it” that this too is part of the overall picture of climate change, and part of “warming”. Fall was very late here in the Netherlands too. We had very weird weather this year. A record warm and dry spring (in at least 100+ years), a cool and record wet summer and a very stable (high pressure), warm and dry fall lead to midday temperatures which were virtually unchanged between the end of March and the beginning of November! Now, it has finally become wet and windy, which is normal for the time of the year. Listening to CBC Charlettown PEI Canada this morning I heard a prediction about Christmas. The Metiorologist said that today the chance of a white christnas was 65% while in the 1940’s it was 99%. Hank, thanks! Having recaptcha probs but very interesting. The land-atmosphere flux represents the balance of a positive term due to land-use change and a residual terrestrial sink. 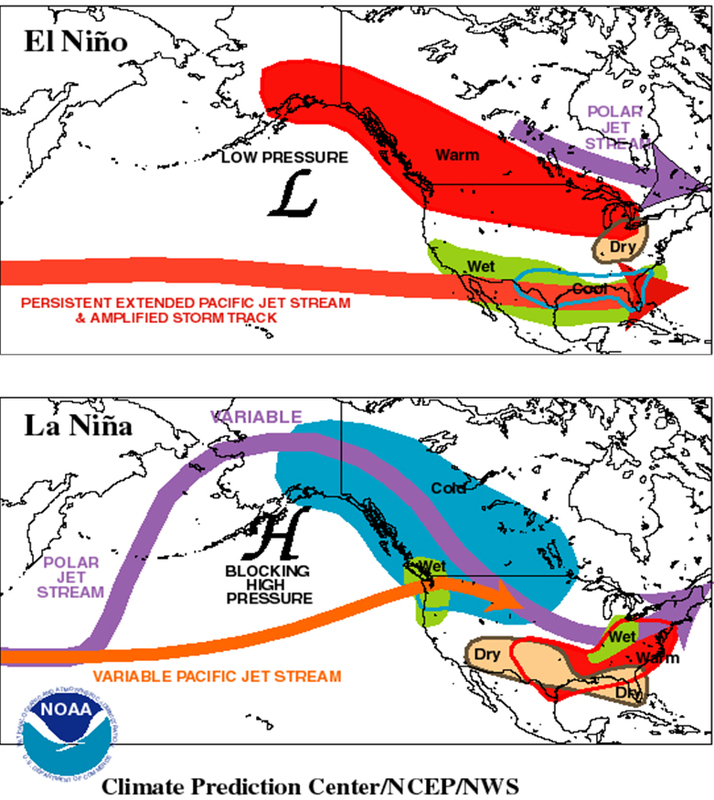 The two terms cannot be separated on the basis of current atmospheric measurements. Using independent analyses to estimate the land-use change component for the 1980s based on Houghton (1999), Houghton and Hackler (1999), Houghton et al. (2000), and the CCMLP (McGuire et al., 2001) the residual terrestrial sink can be inferred for the 1980s. From this and possibly something I read elsewhere, I got the impression that the anthropogenic CO2 taken up by the land through natural changes is something that has to be inferred rather than measured directly – i.e. you can figure out how much the oceans are absorbing, and how much is due to land use changes, so what’s left must be absorbed somewhere on land, but without being able to say where. Perhaps these might be of some help. Is Susan Anderson’s assertion (pasted below) correct? That the last couple of cold winters were caused by the Arctic thaw (colder than normal winters here in Washington state too). As an ‘average Joe’, I do my best but can’t always tell when something stated is proven fact, or just one of the blog’s posters giving opinion. (No offence intended Susan, I am just not familiar with you so don’t know if you write from authority or not). I live in mid Alberta next to a decent sized lake 14 miles long and varying widths 1/2 to a couple miles. I look after my own infrastructure heating and plumbing. I have 20 acres of birch trees. The lake is now frozen over, but the quality of the ice is suspect. Kevin McKinney @ 35: Hmm. Well, there’s an explosion of new growth after deforestation; all sorts of opportunistic plants sprout up to take advantage of the increased sun. Increased sun also leads to warmer soil temperatures, which increases decay of soil organic matter. In the boreal forests, there is usually more carbon in the soil than in the trees. This can mean that a boreal forest stand represents a net carbon source for a period after disturbance. Most detailed boreal forest study I know of is BOREAS. Tropical forests, due to high temperatures overall, usually have very little soil carbon. Temperate forest would probably fall in between, but I’m just guessing. Very Interesting comments re: the late fall. Anecdotal but converging. Phenology too. Exactly right for the topic. Nice direct Hank. I, of course, agree with those who urge caution not to draw too much from this one year. But maybe we can our antenna up.